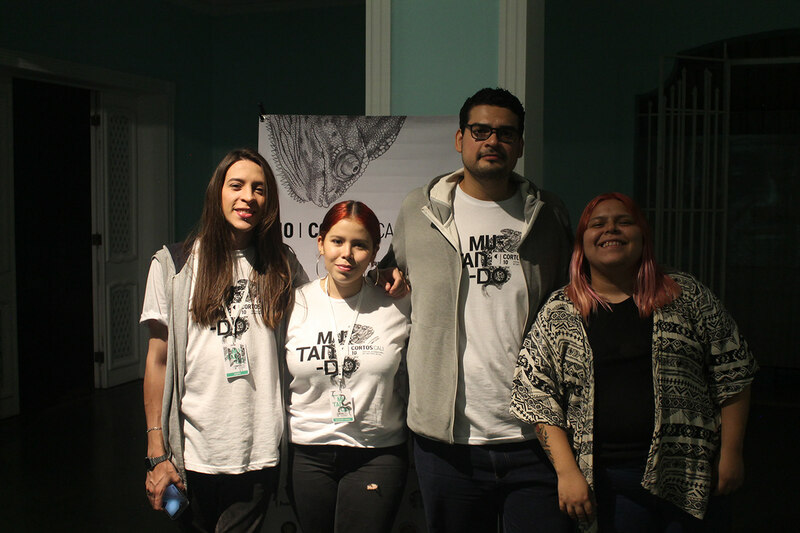 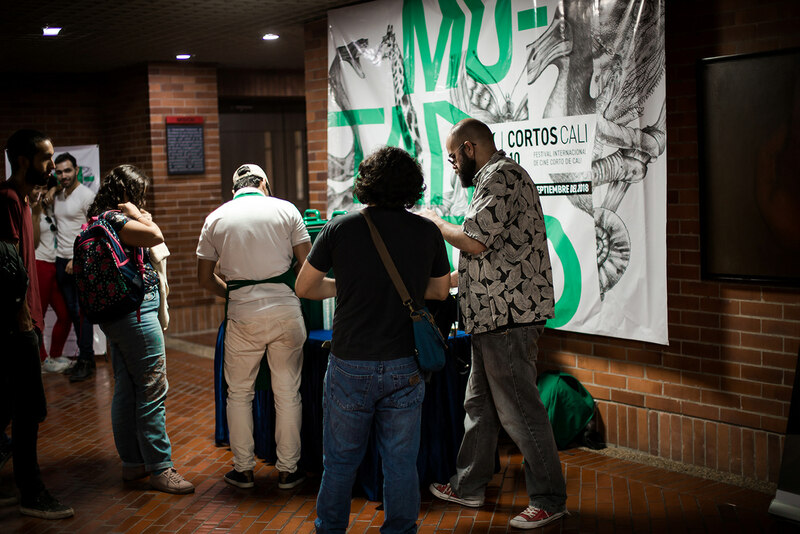 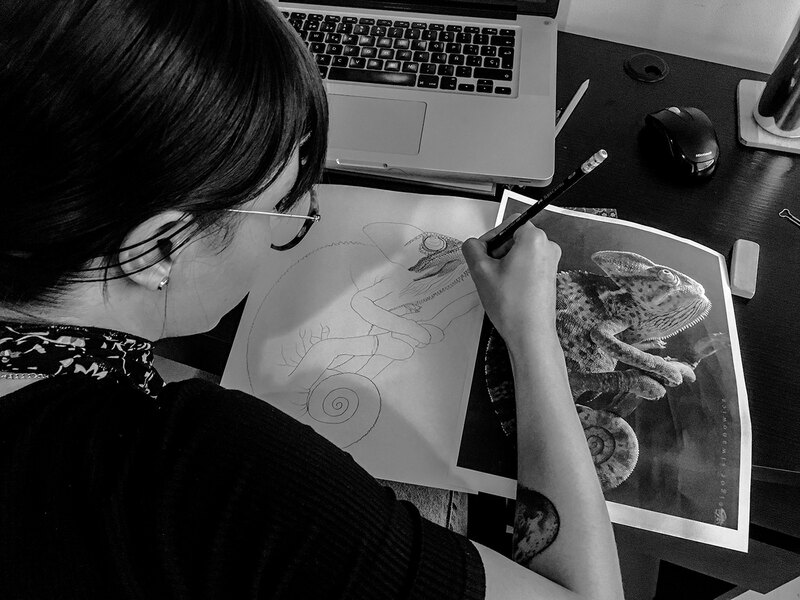 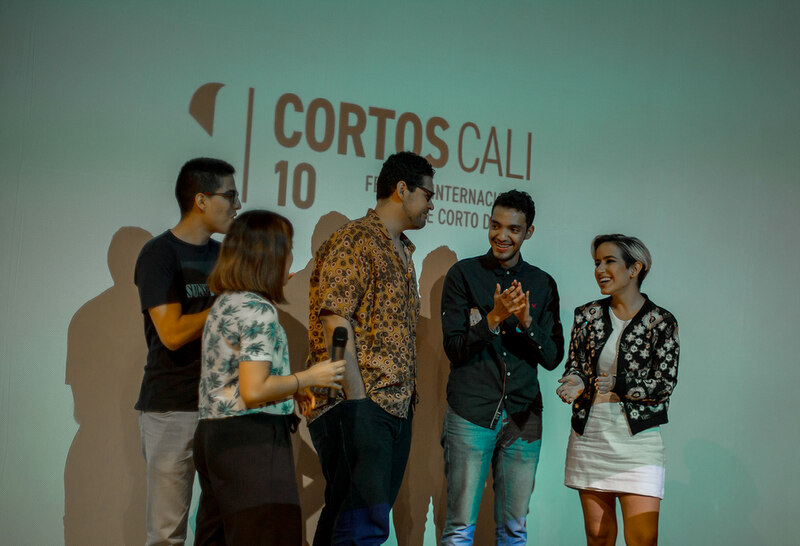 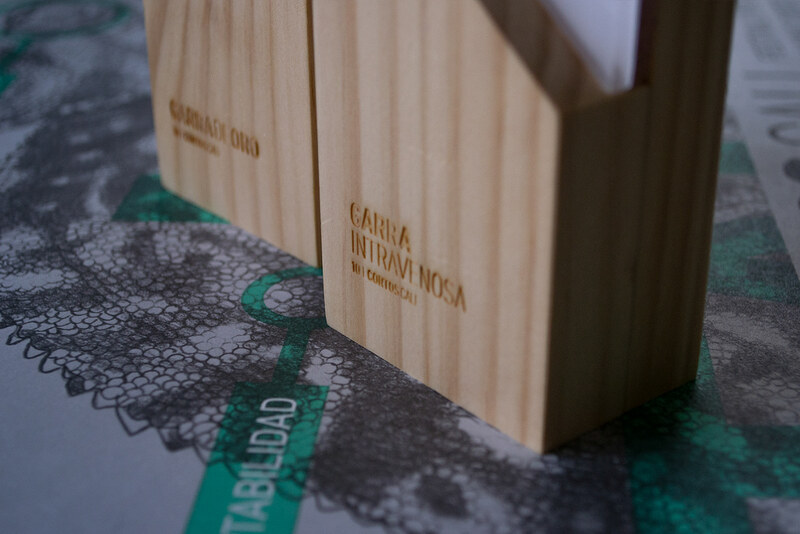 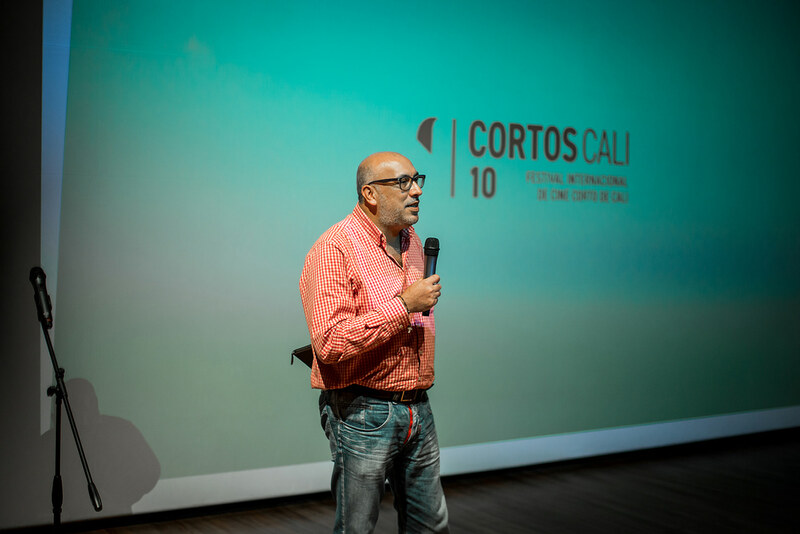 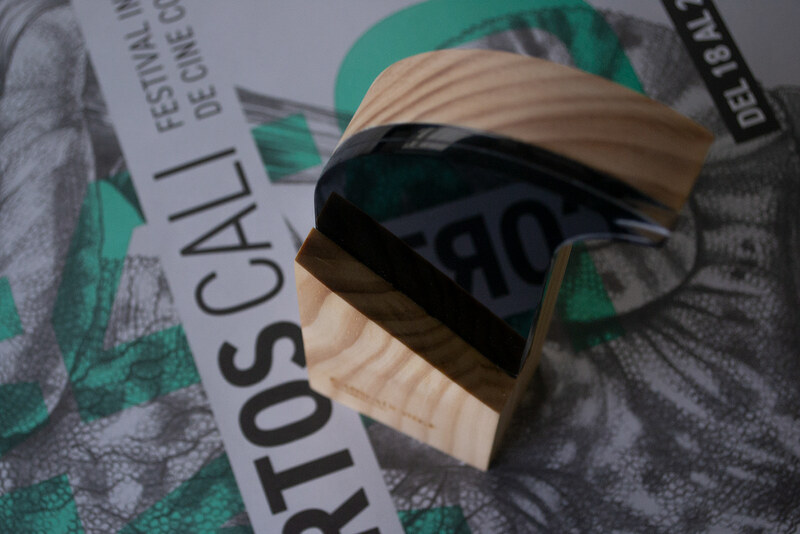 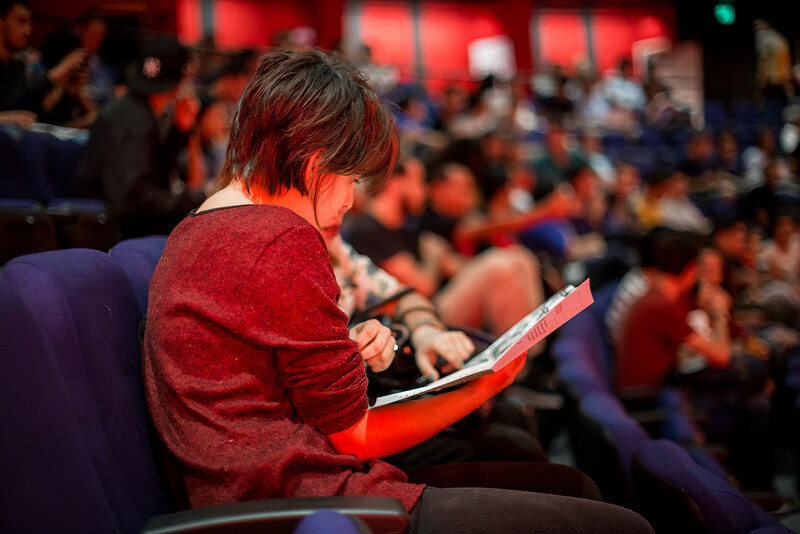 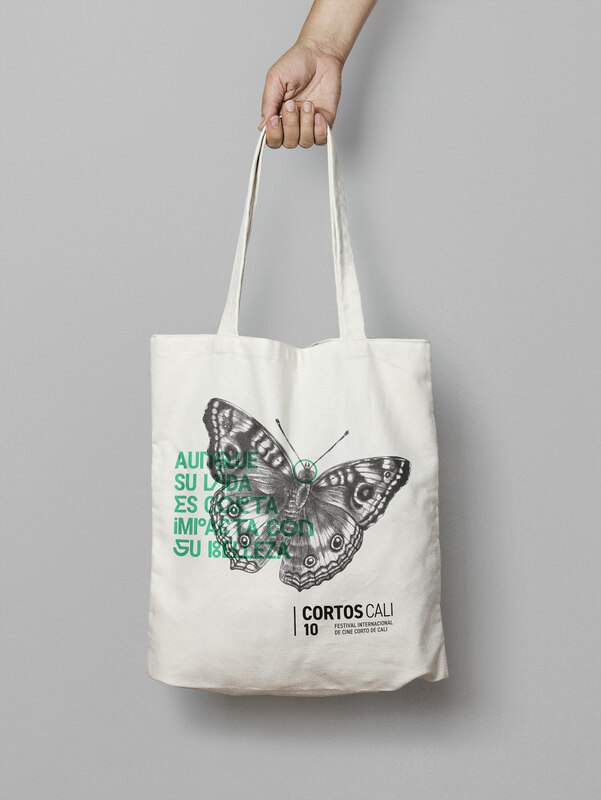 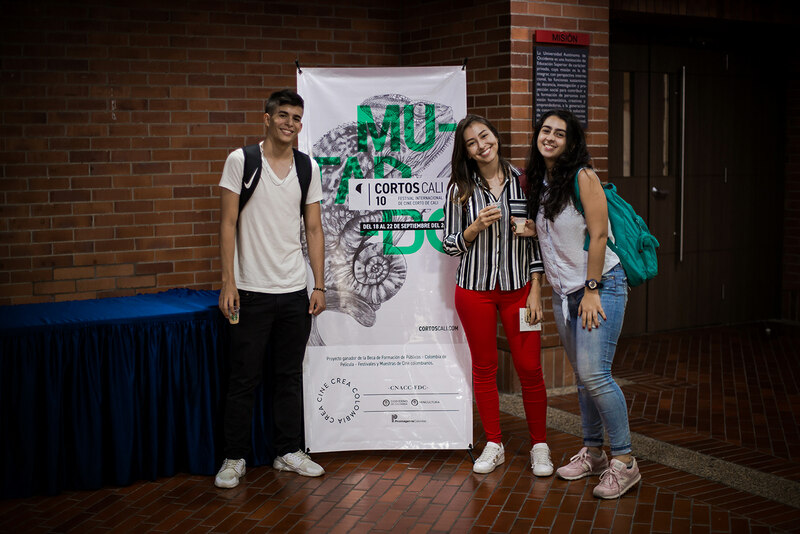 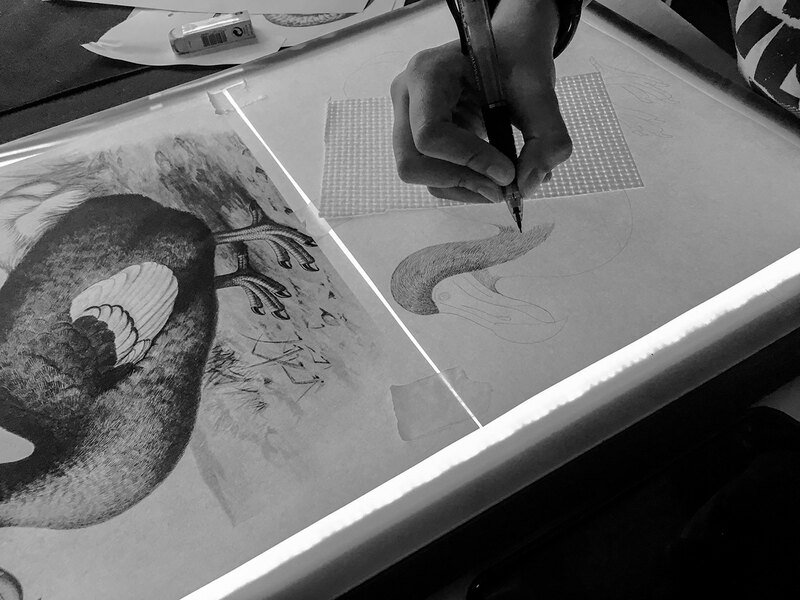 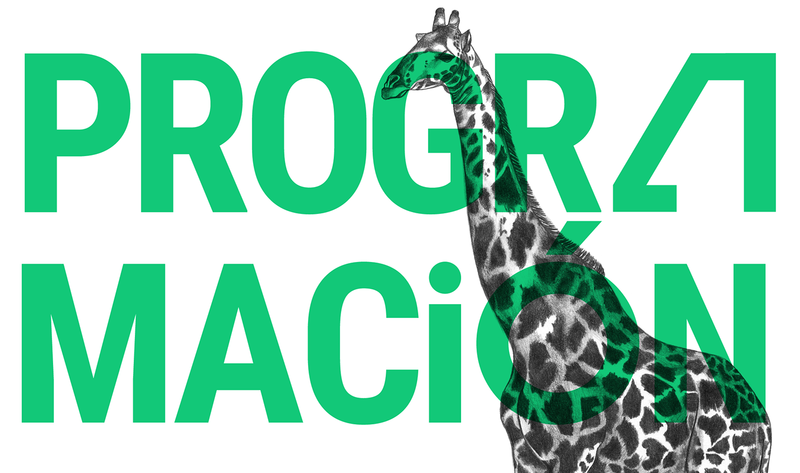 In 2018, the University Festival Intravenosa became the International Short Films Festival of Cali (Cortos Cali). 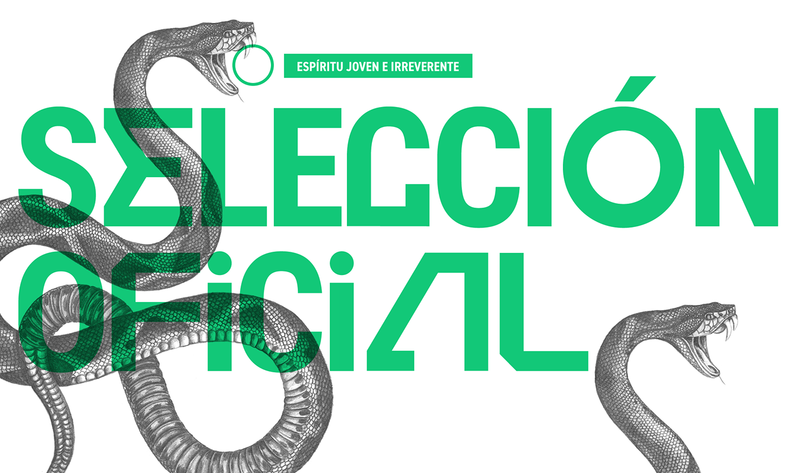 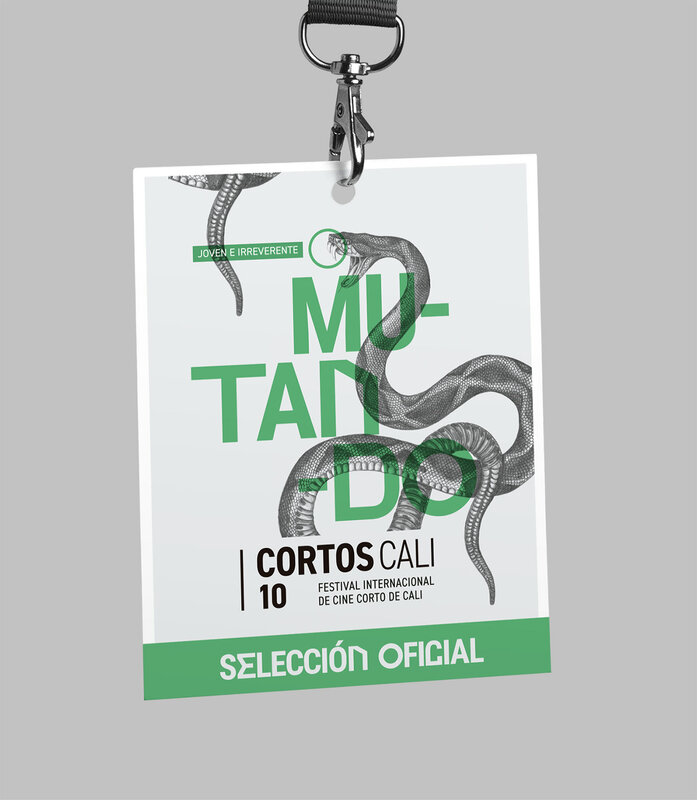 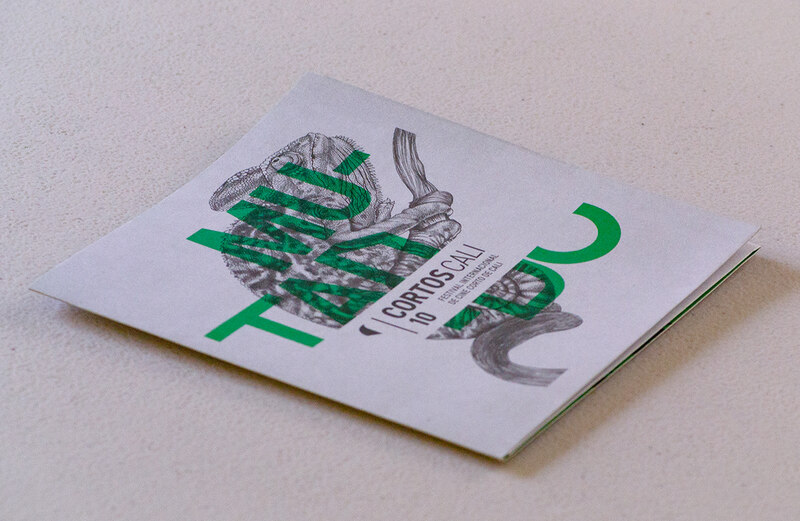 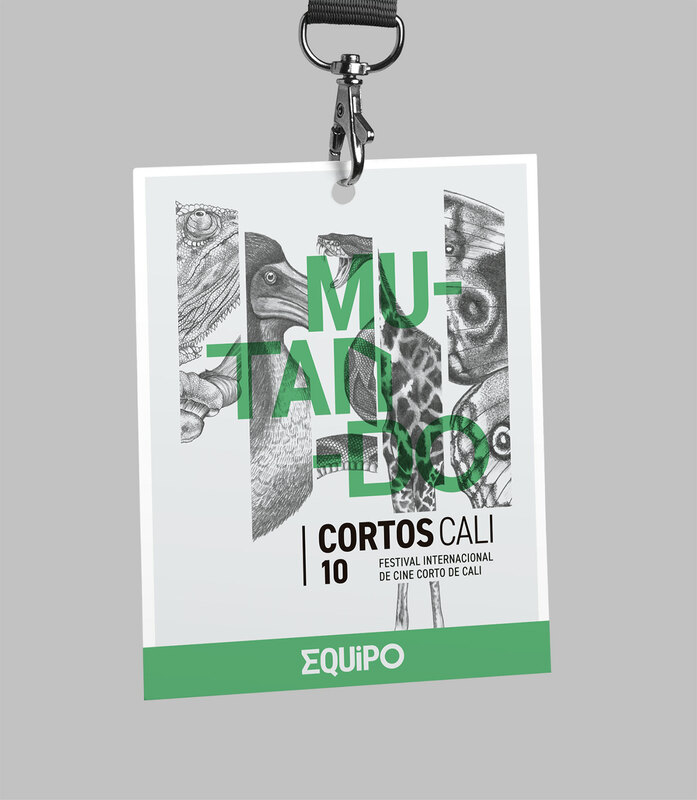 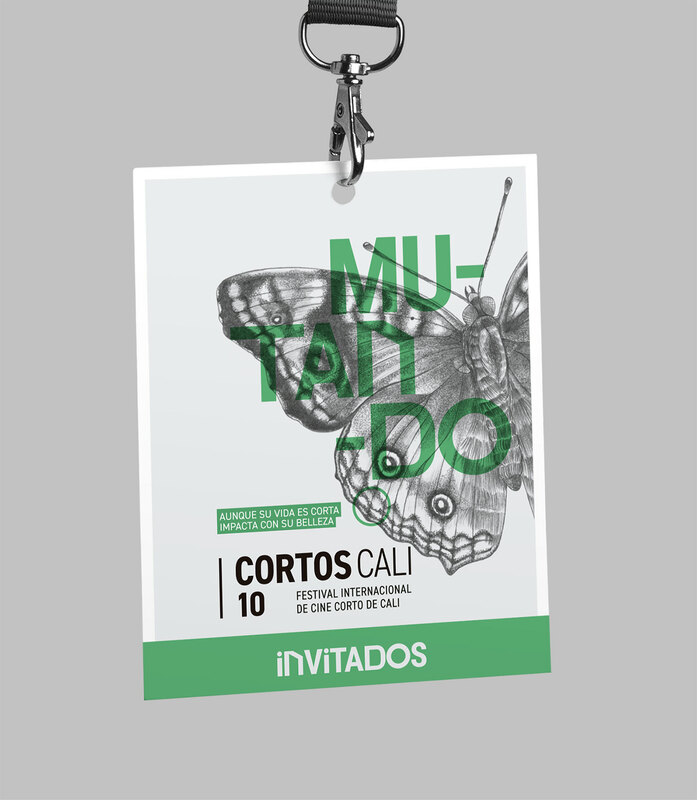 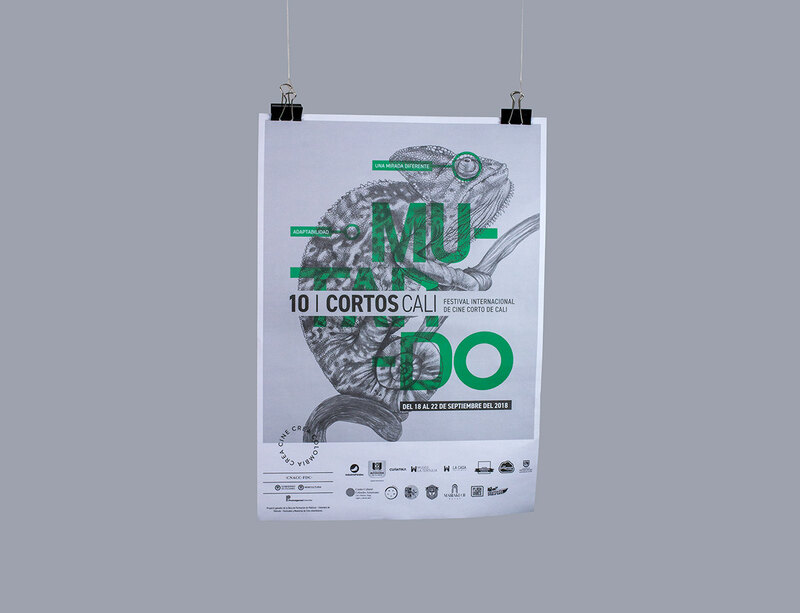 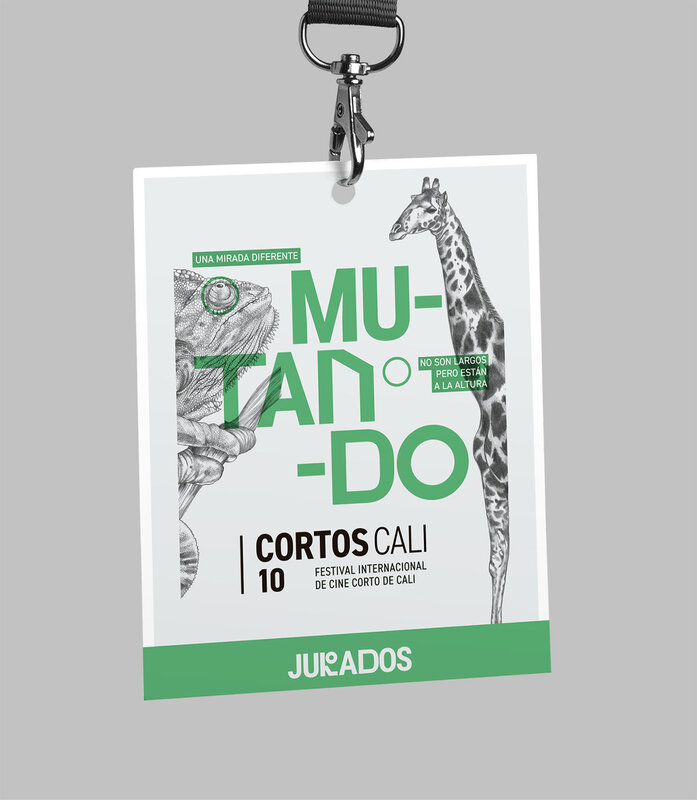 For this tenth edition we worked with the «random mutation’s» concept to represent the improvements and changes that the Festival is having. 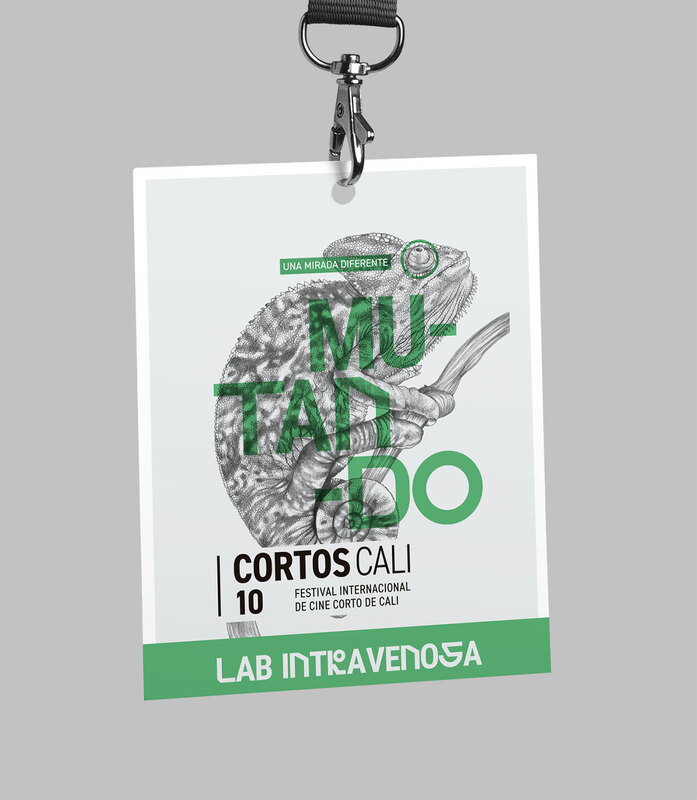 The Festival Intravenosa is mutating to adapt of new environments. 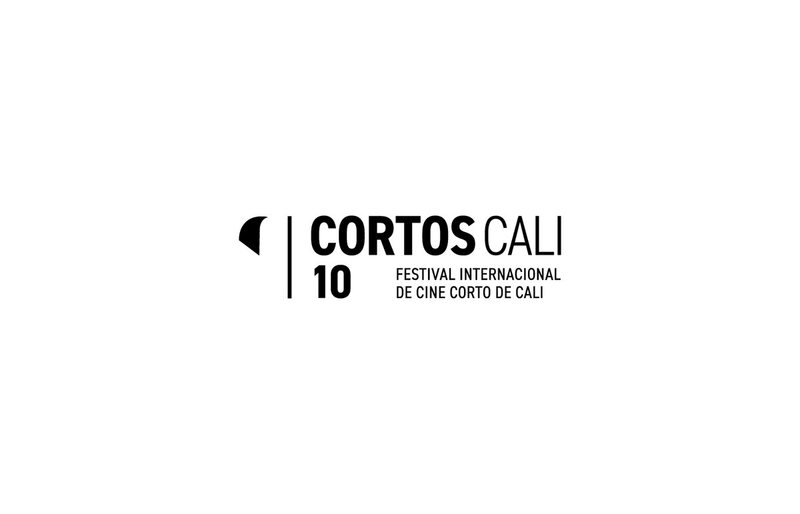 Now it has an Official Selection for professional filmmakers, it brings an opportunity to evolve in the most important short film festival of the city of Cali (Colombia): Cortos Cali. 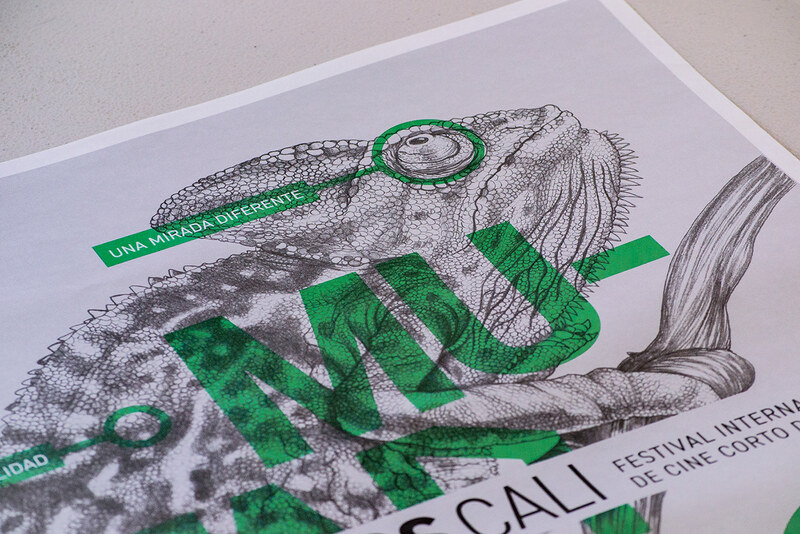 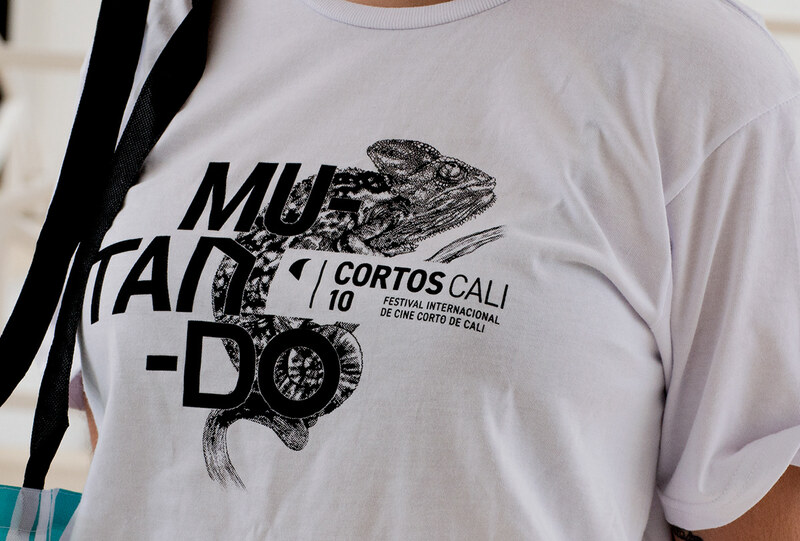 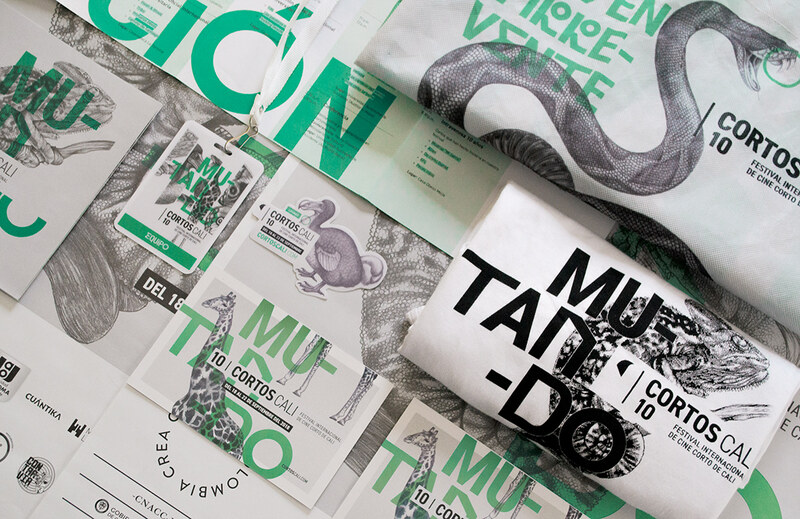 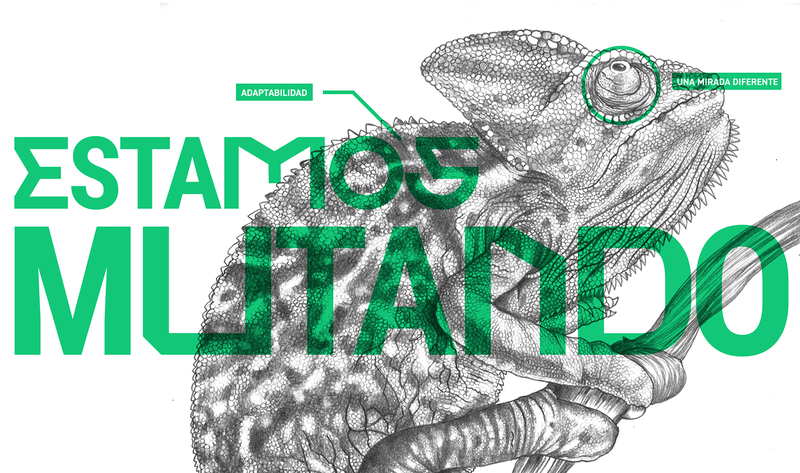 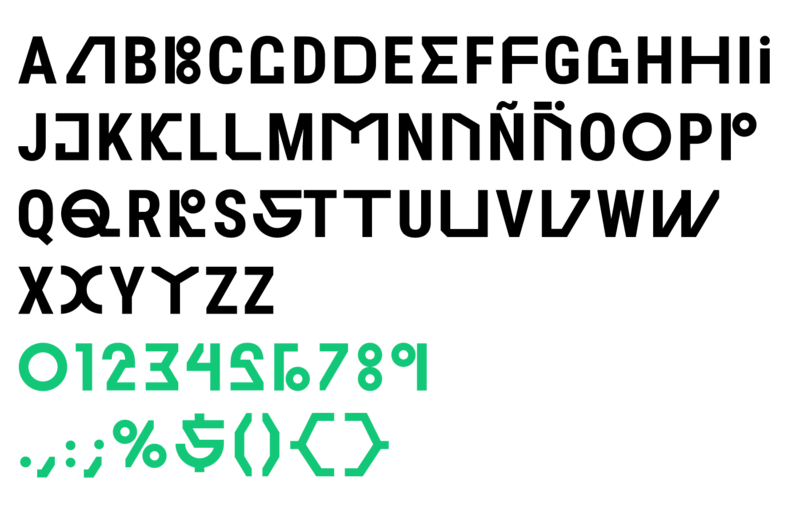 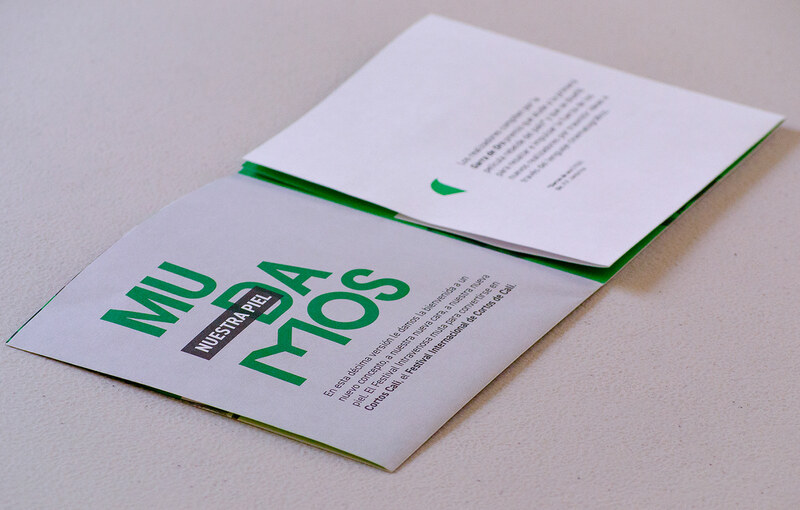 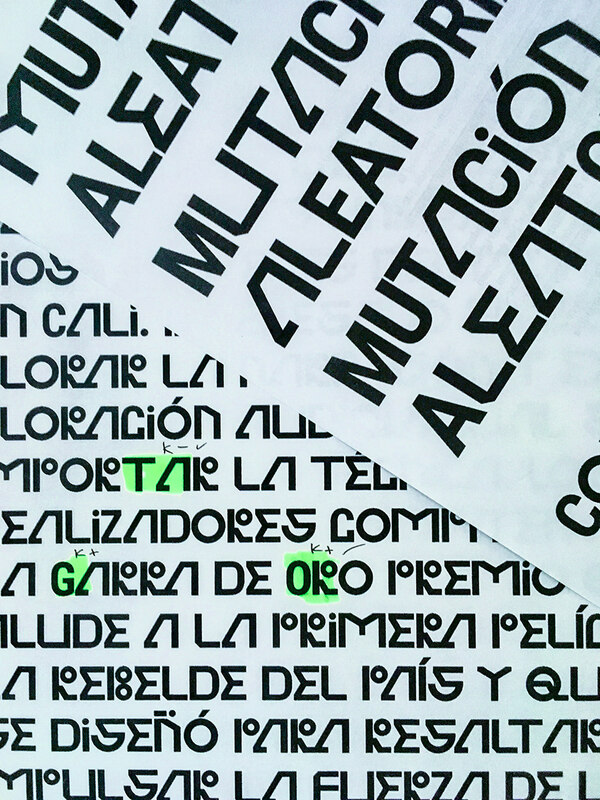 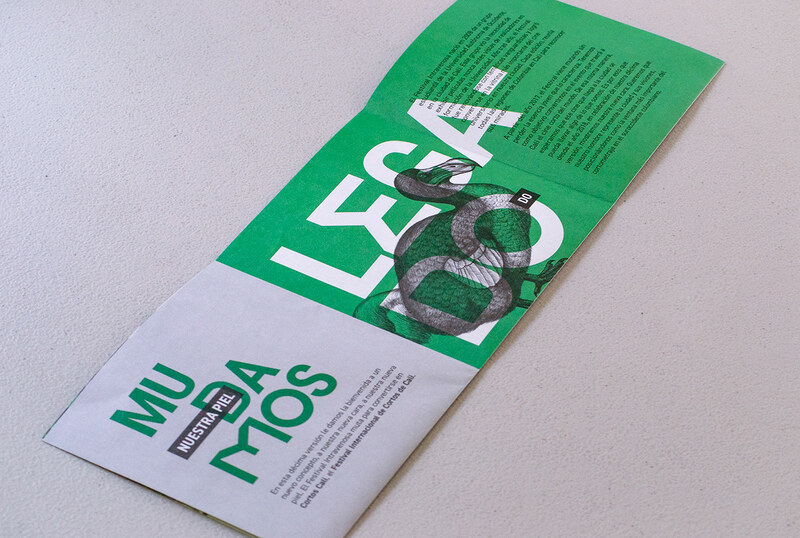 The mutations that are occurring in the genes of the festival were the inspiration to create the Mutacion font. 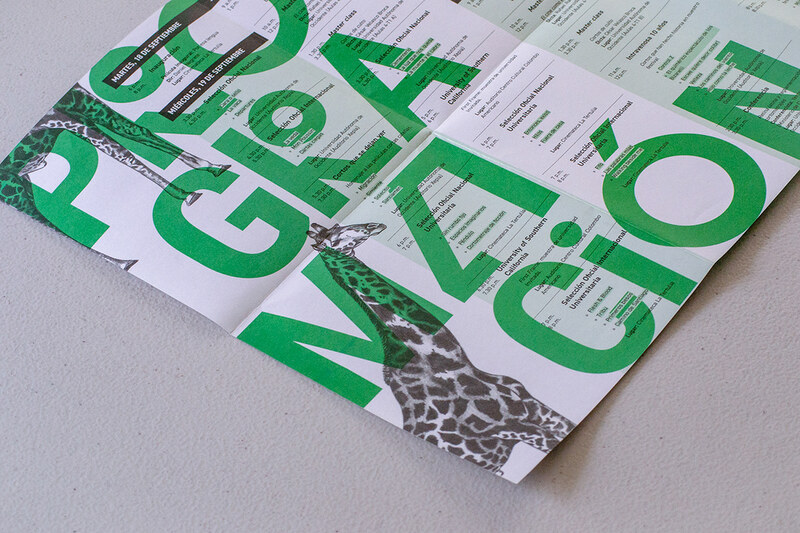 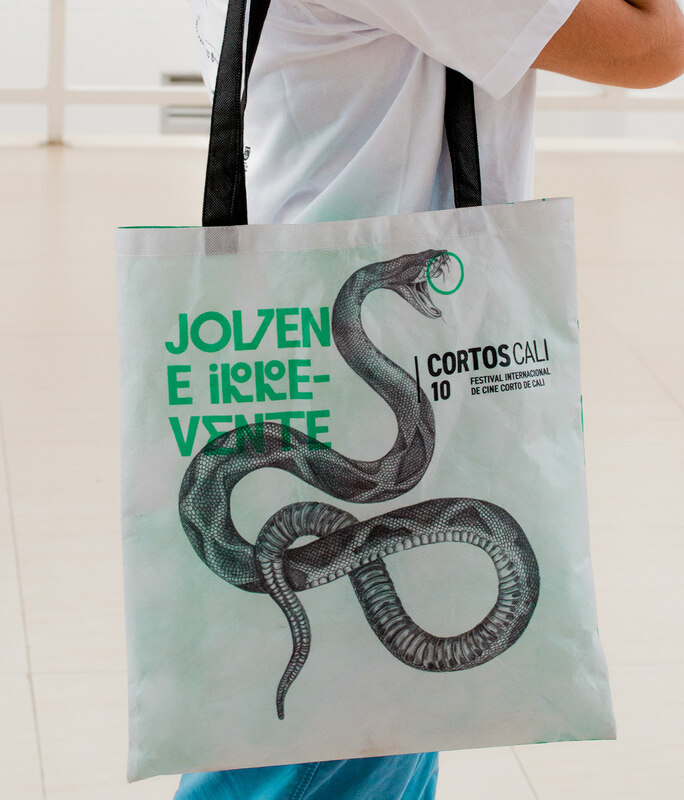 A font with its signs altered, what enforce the general concept of the identity of this edition of the Festival. 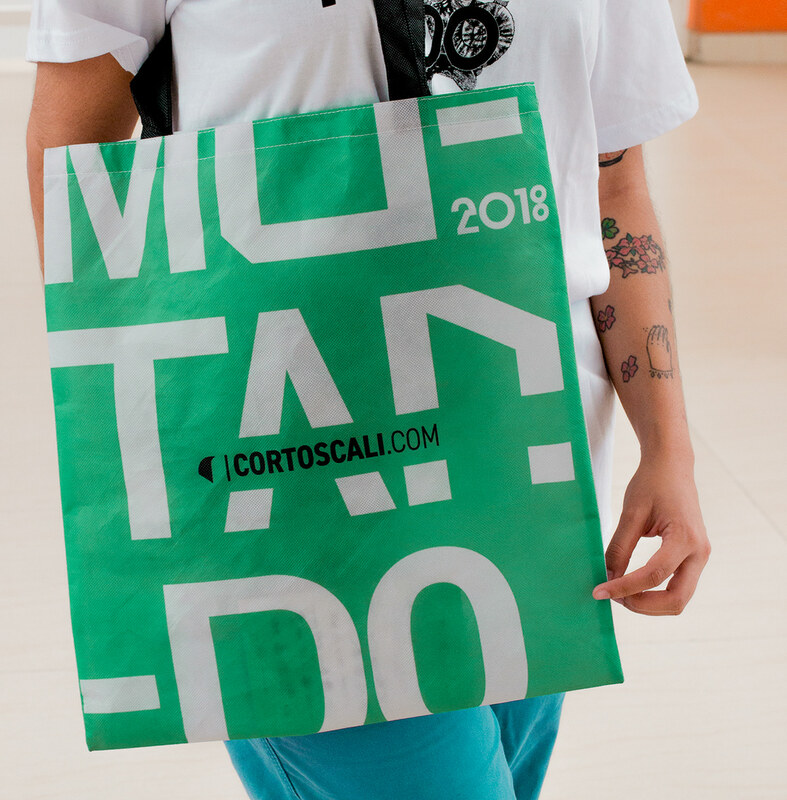 it has a mix between mutated and regular characters used in a random way to show the organic changes that the Festival is experimenting. 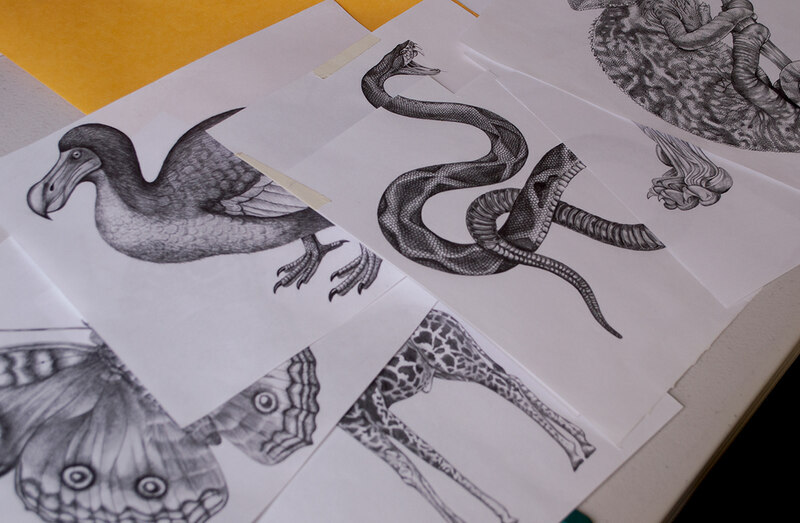 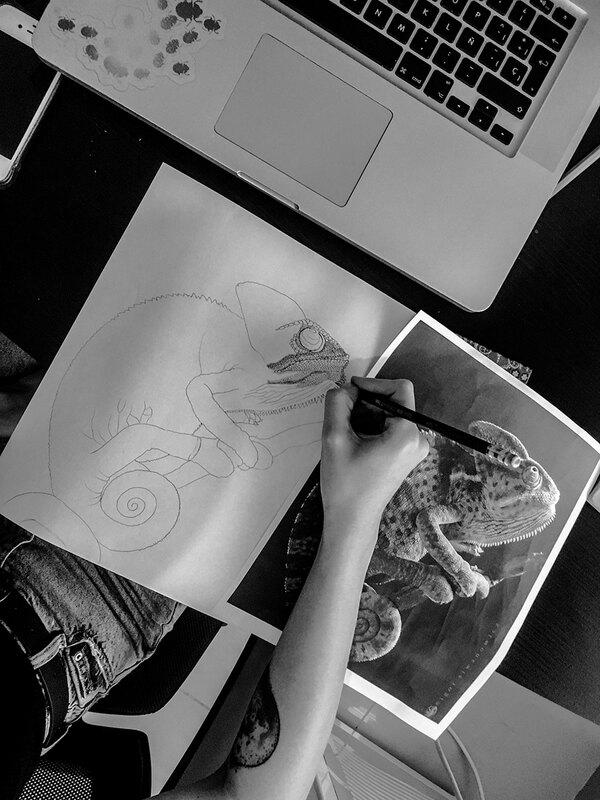 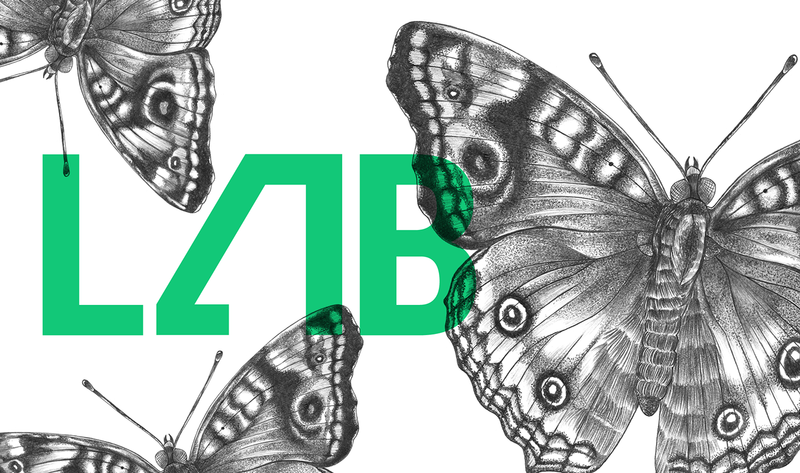 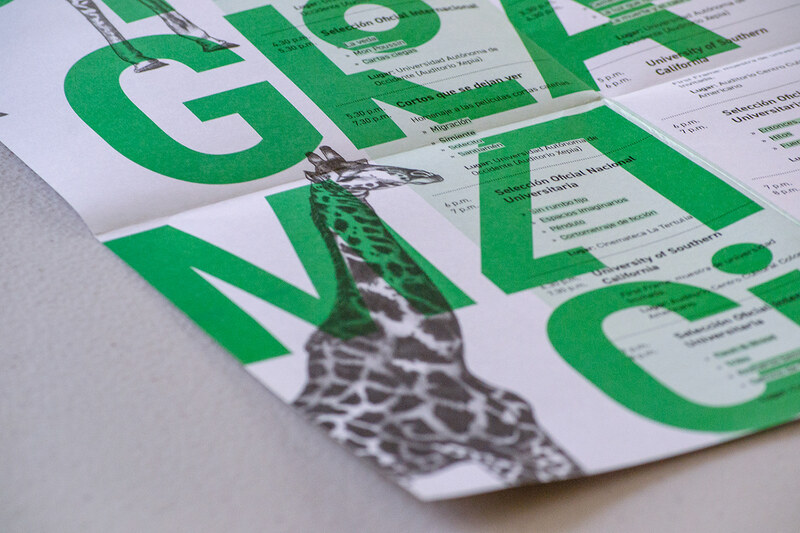 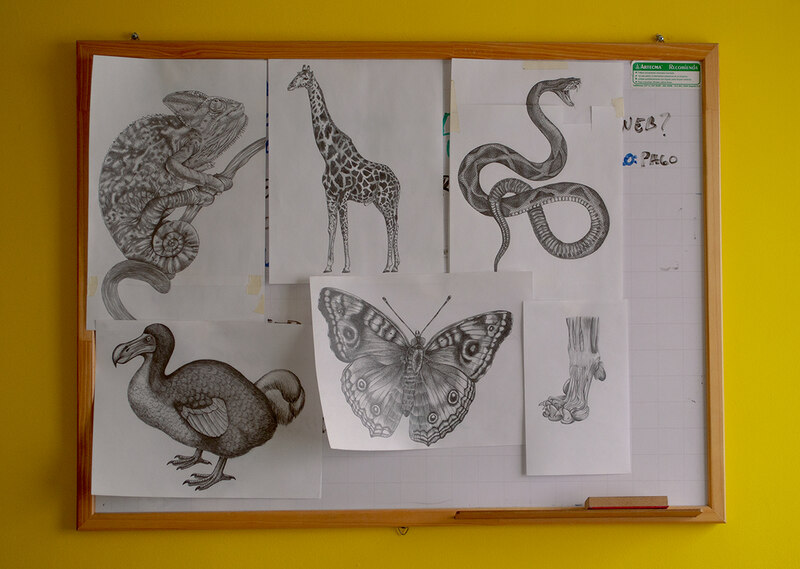 As a graphic complement, a series of pencil illustrations were made of some animals, which with their own evolutive characteristics have managed to survive: The chameleon and its independent vision, the snake and its poison to protect itself, the butterfly and its wings patterns to camouflage of its predators, the giraffe and its long neck which allows them to reach fruits in the top of higher trees. 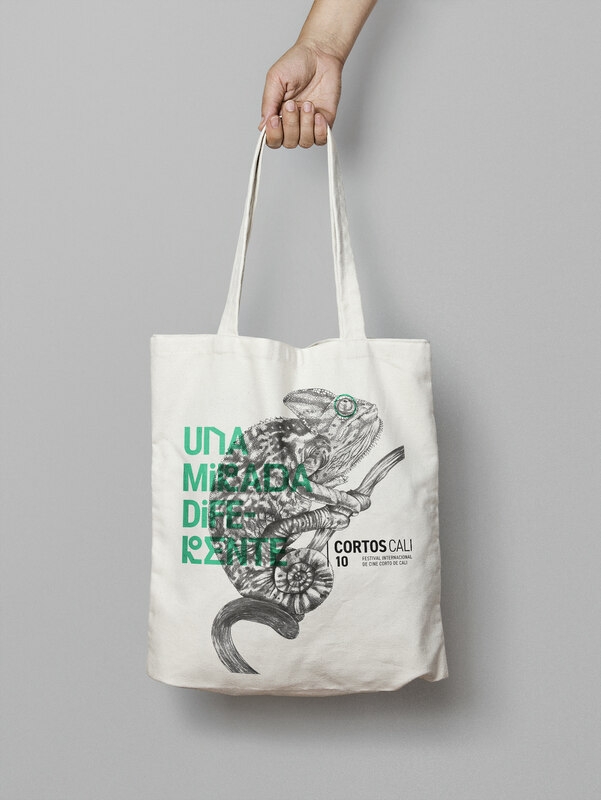 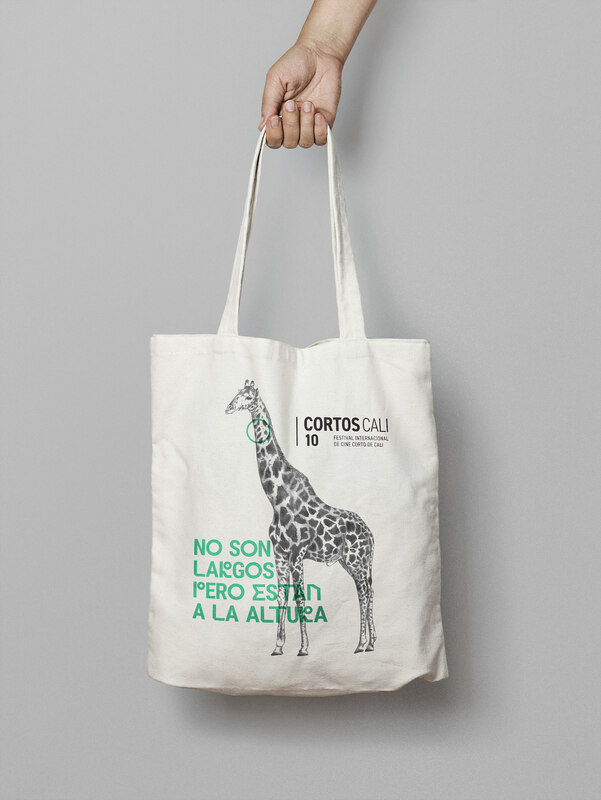 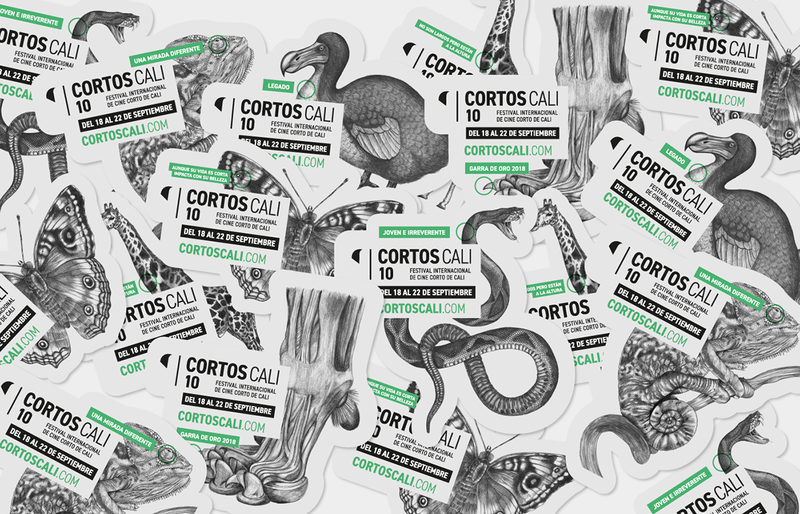 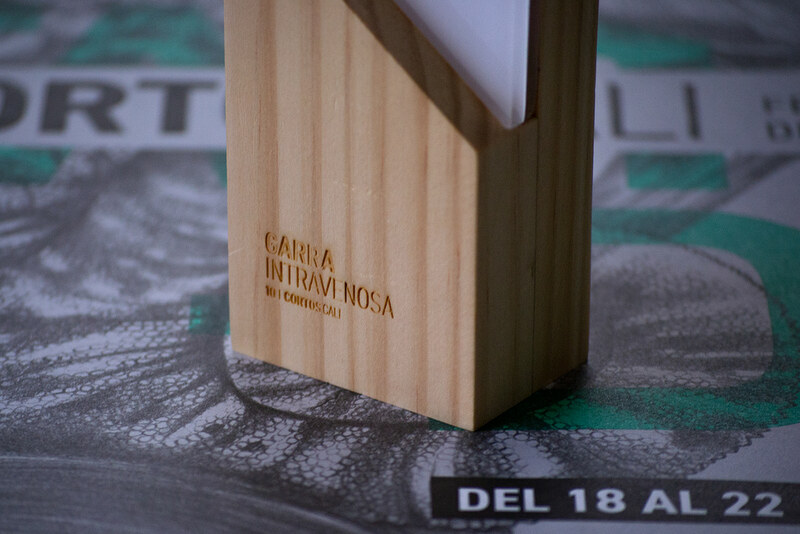 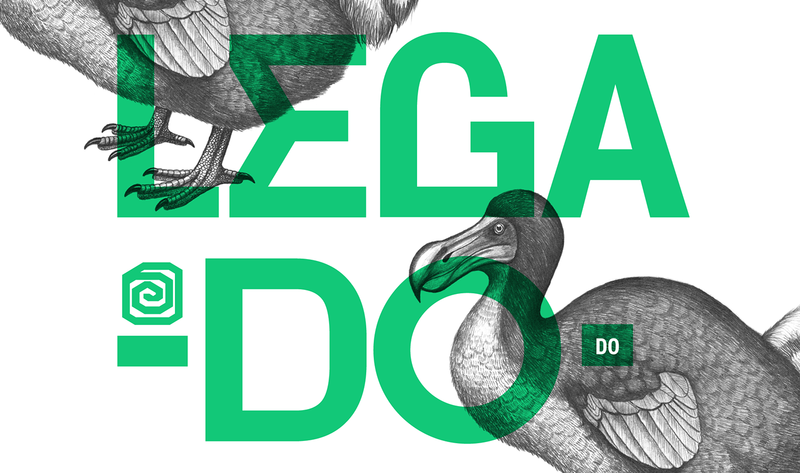 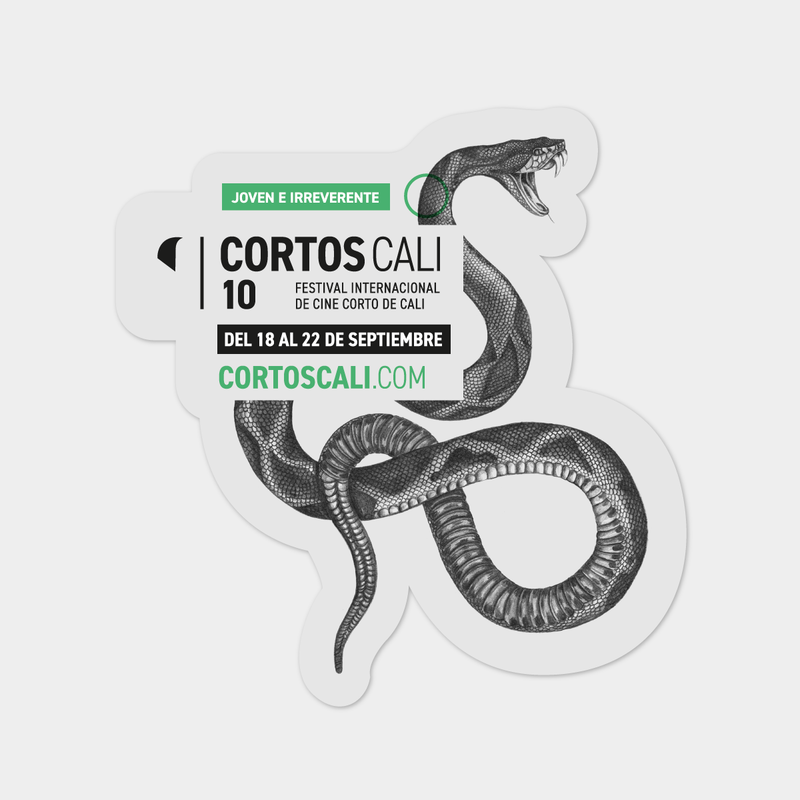 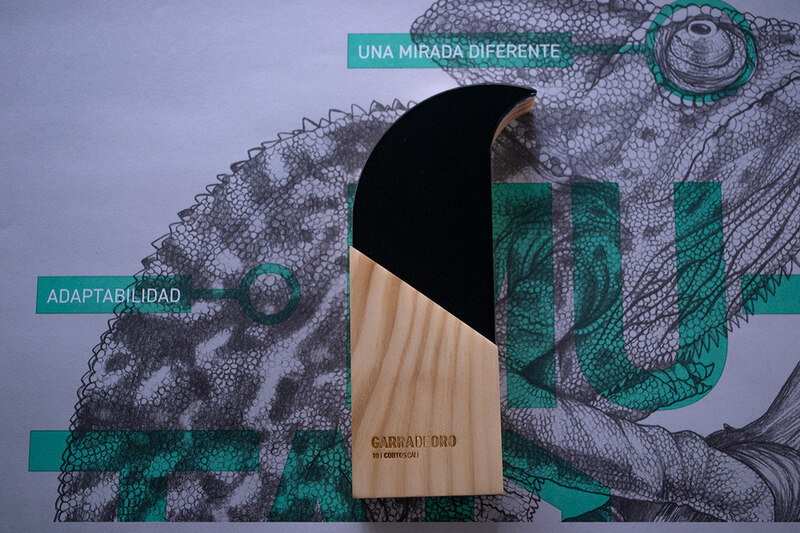 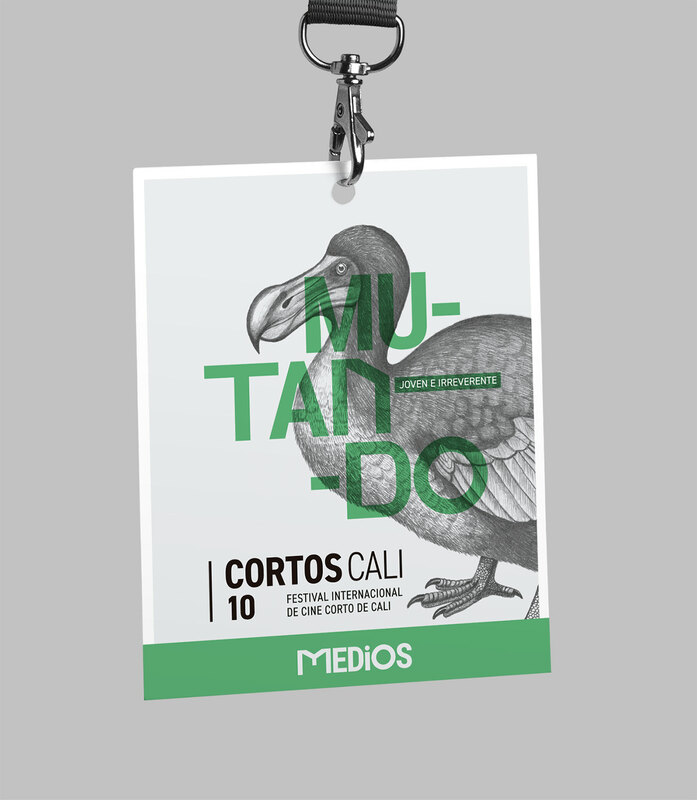 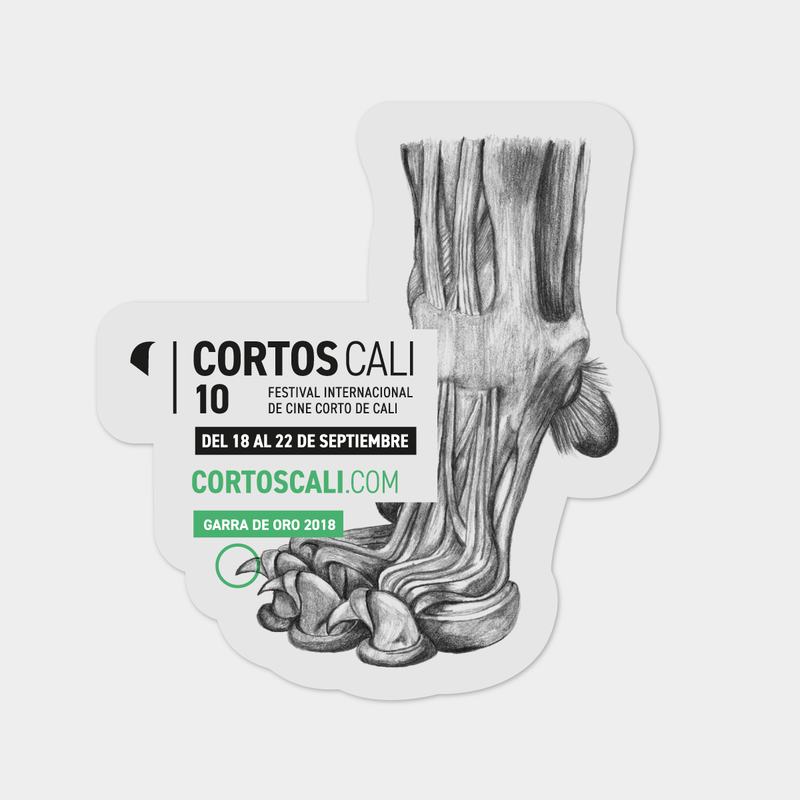 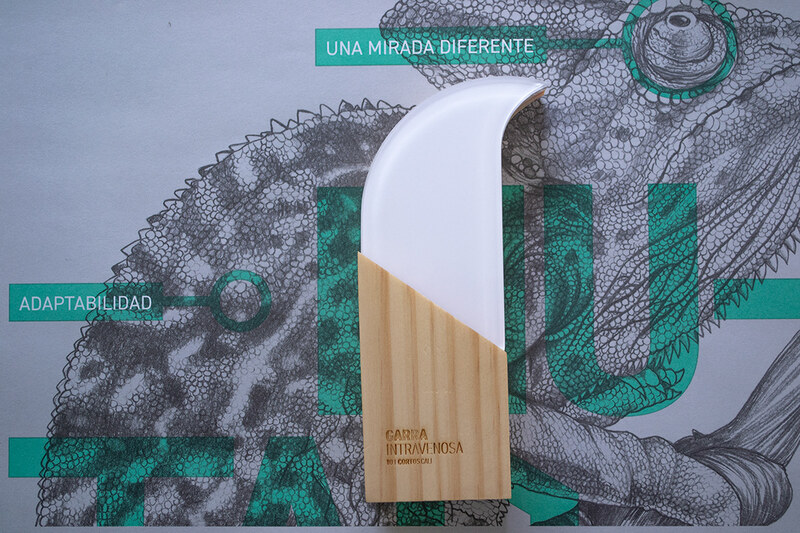 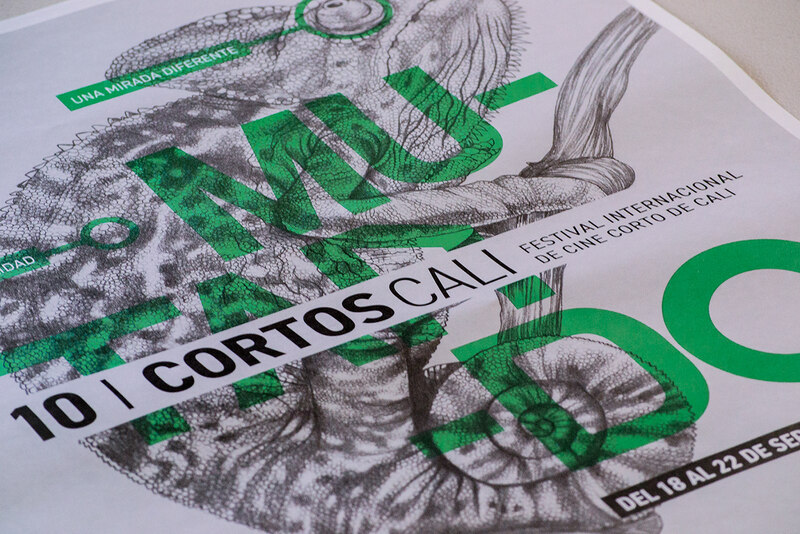 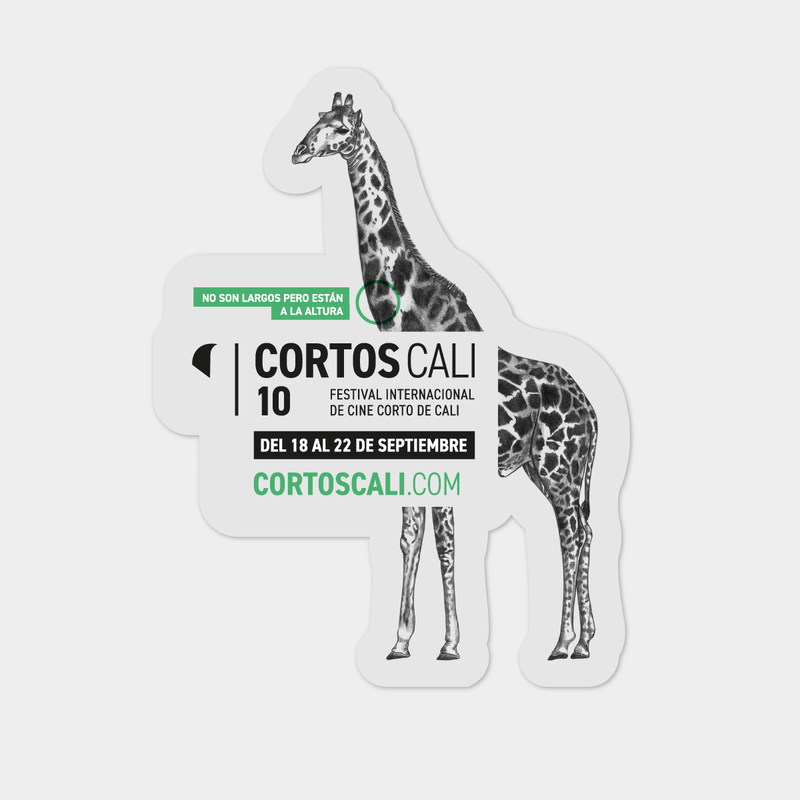 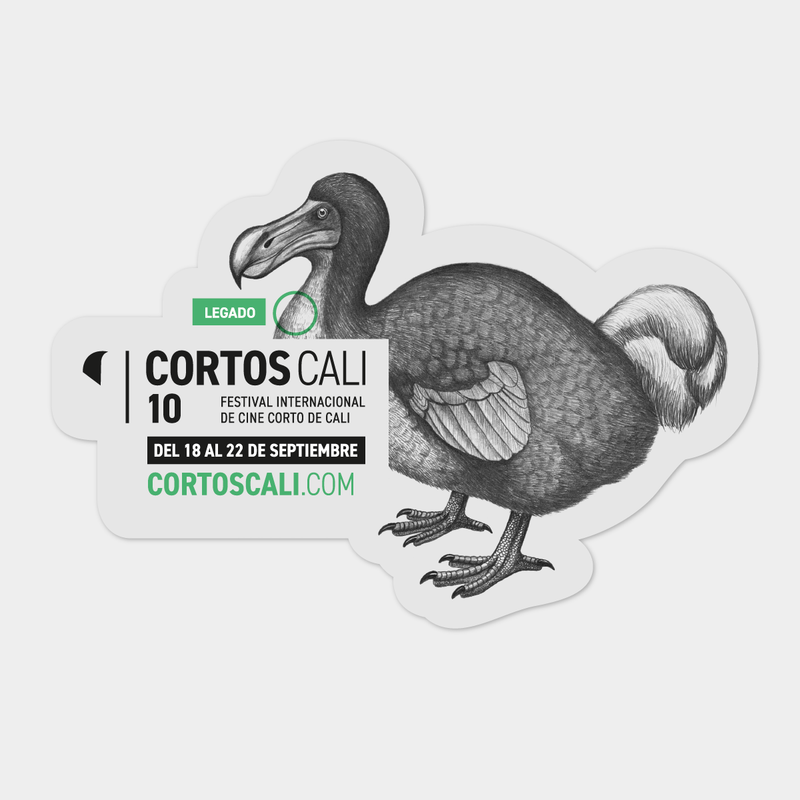 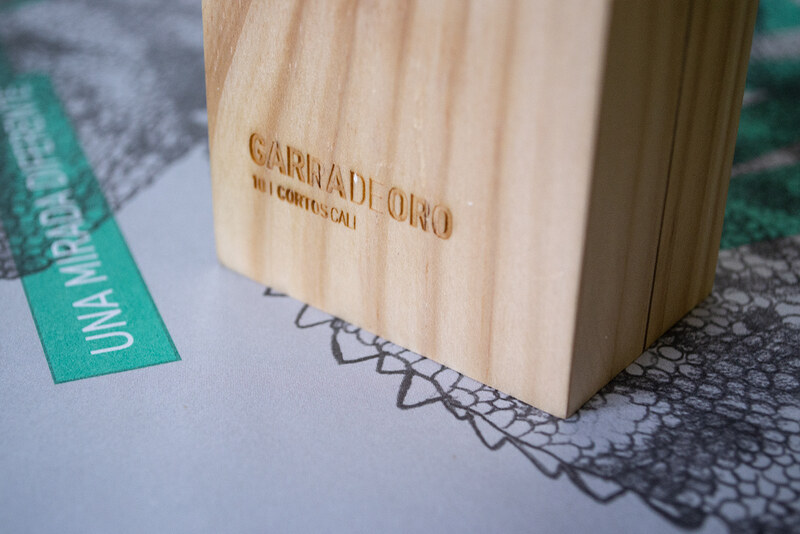 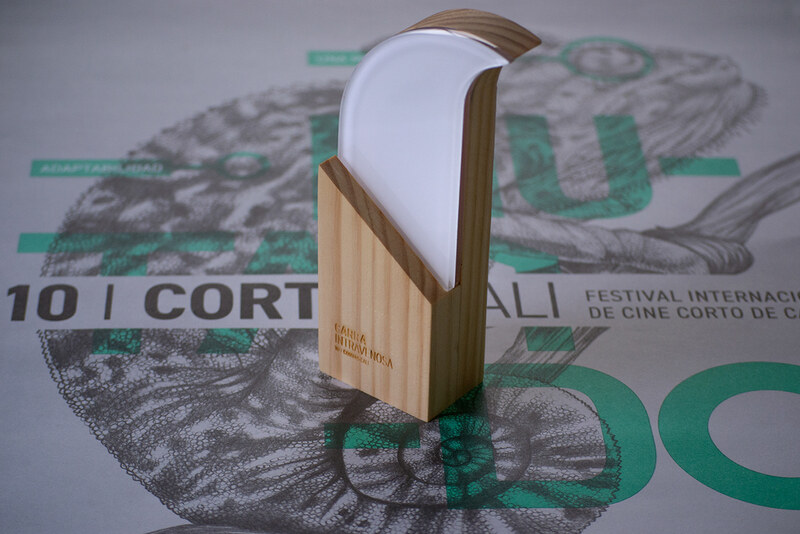 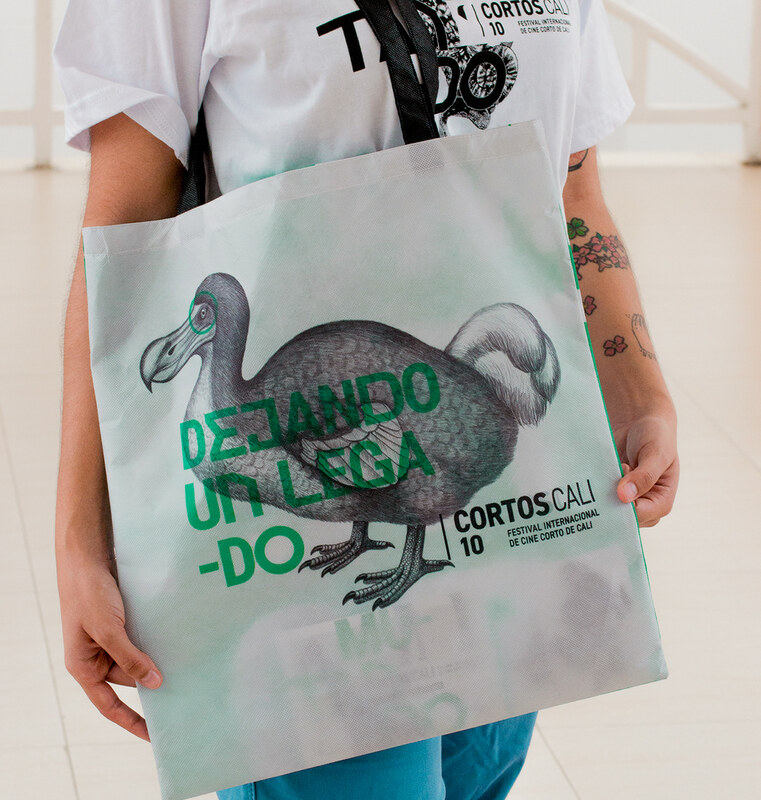 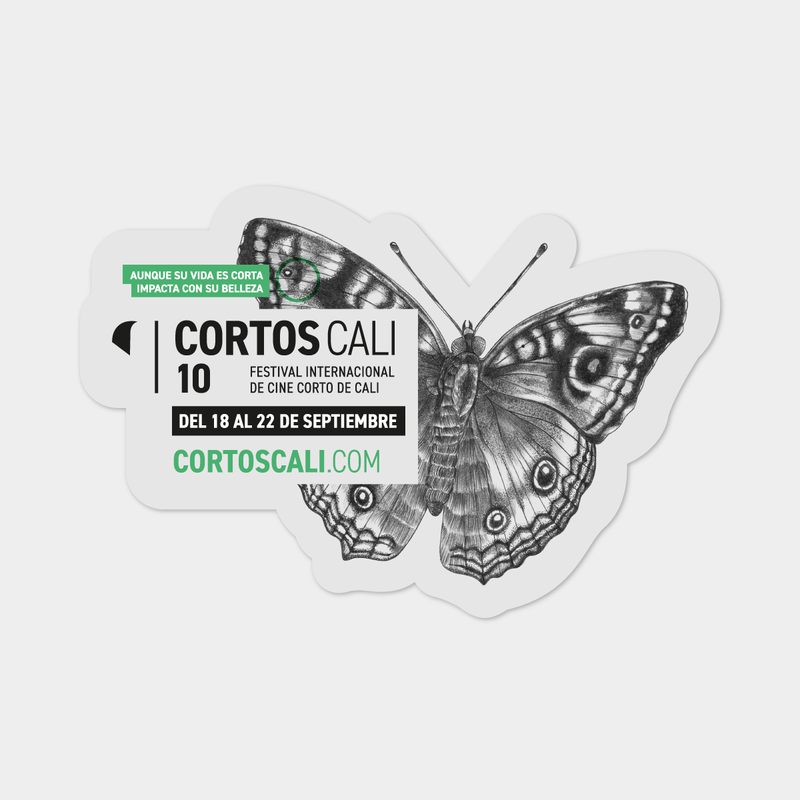 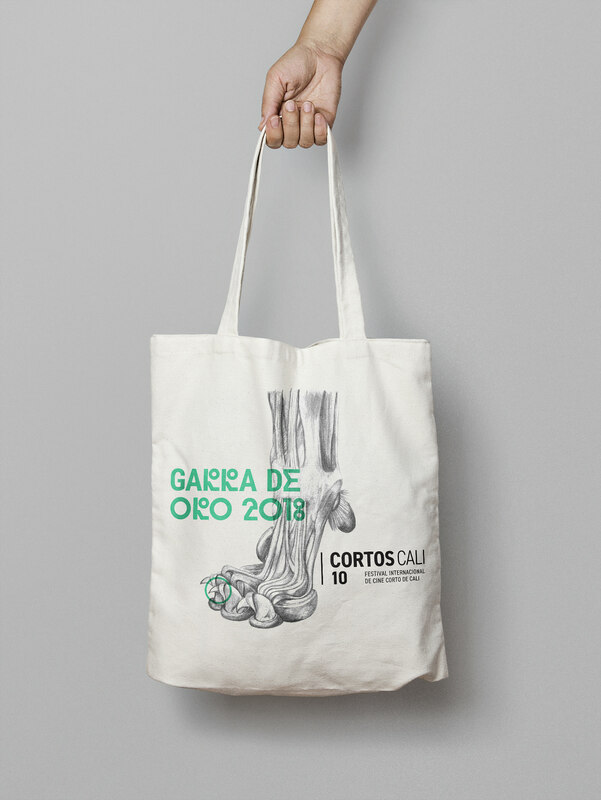 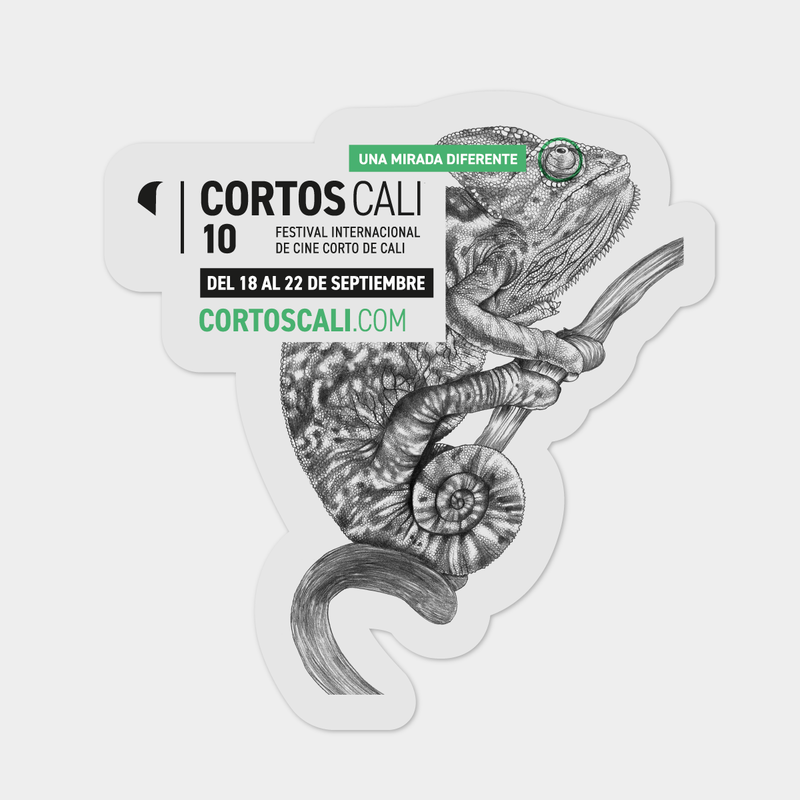 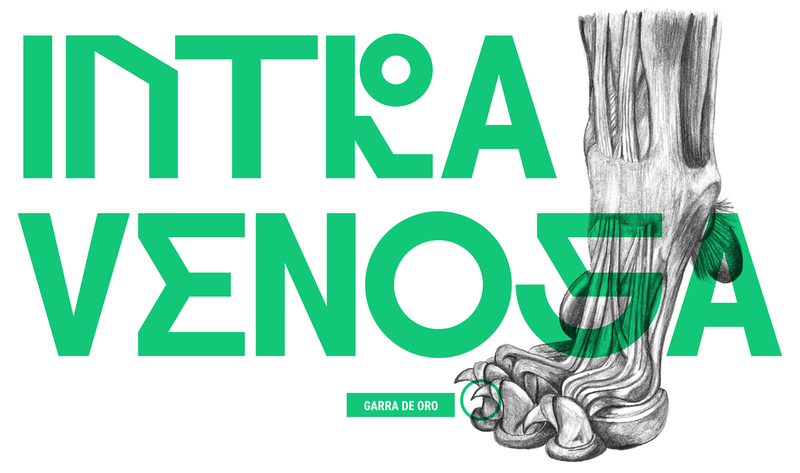 Also, we included the dodo (extinct species) to remember what the Festival Intravenosa did for Cortos Cali, and a tiger claw to remember people the award of the Festival: la Garra de oro (the Claw of gold). 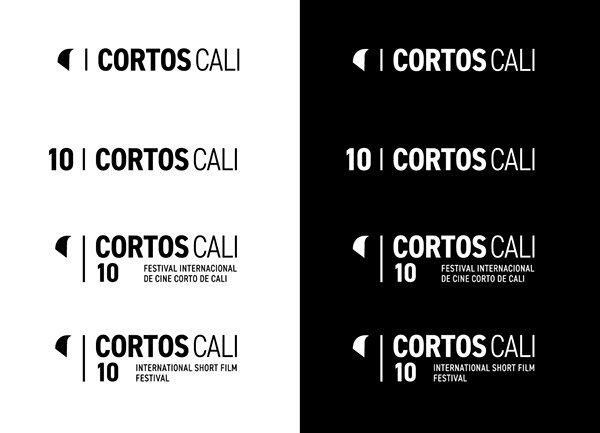 With the name of the Festival, we redesign the main logo to create an image that synthesize the most important thing of the Festival, the competition (la Garra de oro - the Claw of Gold), without compete with different graphic styles that could have the Festival in future editions.